Wait for it, it will come: backlash from polar bear scientists for a statement by an Inuk bear safety guide in Labrador, reported by the CBC yesterday. 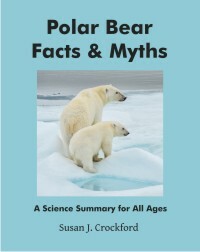 The guide said there are more polar bears now than there were 25 years ago based on the fact that he is seeing more bears and that more bears mean more trouble with bears, including attacks on people. 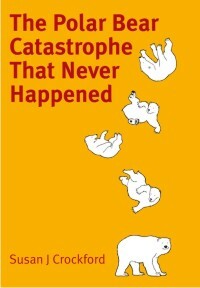 As I point out in my new book, The Polar Bear Catastrophe That Never Happened, only in the 1980s did biologists admit that seeing more bears meant there were actually more bears. This bear visited Black Tickle in Labrador a few years back. Edwin Clark photo. It has not been OK anywhere else in the world over the last few years to suggest that seeing more bears meant more bears, whether you were Inuk or not – whether describing a subpopulation that’s officially ‘increasing’ or not. By Pottle’s count, bears are up in numbers — polar bears, black bears, and grizzly bears — and that’s a concern for people across the North. “We’re seeing a lot of bears. The more people you have out on the land and the more bears you have, the higher potential you have for a bear-human encounter,” he said. “Twenty-five years ago you would very rarely see a track or a sign of a polar bear but now I’ve seen 18 bears in one day in different parts of Labrador,” he said. It’s been known for years that Davis Strait polar bear numbers have been growing, despite declining summer sea ice. This is due to abundant prey in the spring, especially burgeoning numbers of harp seals that give birth on the ice off southern Labrador and northern Newfoundland. Davis Strait is the only polar bear subpopulation worldwide considered by Environment Canada in 2018 to be still ‘increasing’ (see chart below). That didn’t stopped Andrew Derocher for criticizing me in 2017 for suggesting that the abundance of polar bear sightings in Newfoundland and Labrador that year may have indicated a growing population. This is one of the many reasons that I felt it necessary to examine the ways that polar bear specialists have been low-balling global population size estimates since the turn of the 21st century. It turns out that when you extrapolate from known population sizes to unknown or out-of-date regions with the same ice conditions, you get a global estimate close to 40,000 (about 39,000: range 26,000-58,000), as explained in this recent post. 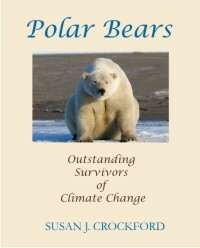 This entry was posted in Advocacy, Conservation Status, Polar bear attacks, Population, Sea ice habitat and tagged Davis Strait, estimate, extrapolate, Inuit, Labrador, lack of ice, more bears, Newfoundland, polar bear, population, Rigolet, sea ice, size. Bookmark the permalink.